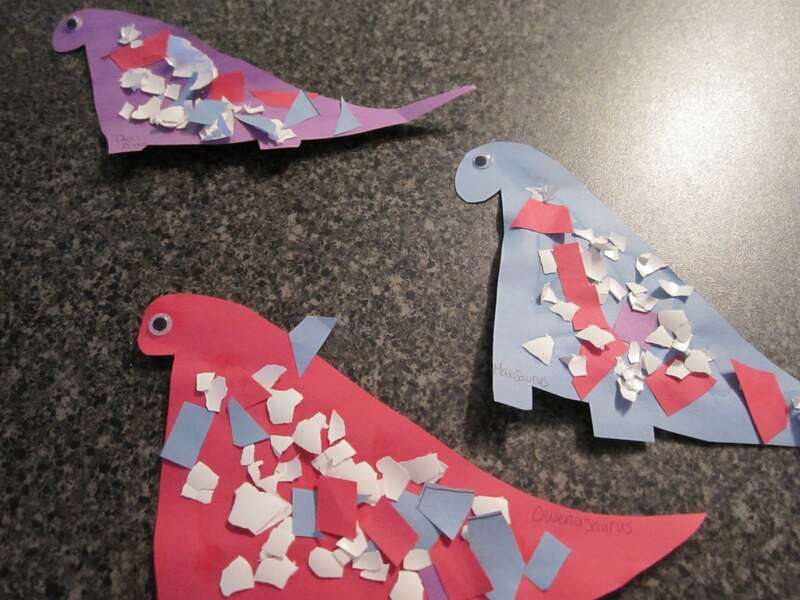 A few weeks ago we did a week of Dinosaurs and the kids had a blast! I thought maybe they were to young but I kept this really simple and let them learn through play and they couldn't get enough! Also it helped my picky eaters try new things all I had to do was tell them it was Dinosaur food and they ate it! YEAH Dino's! 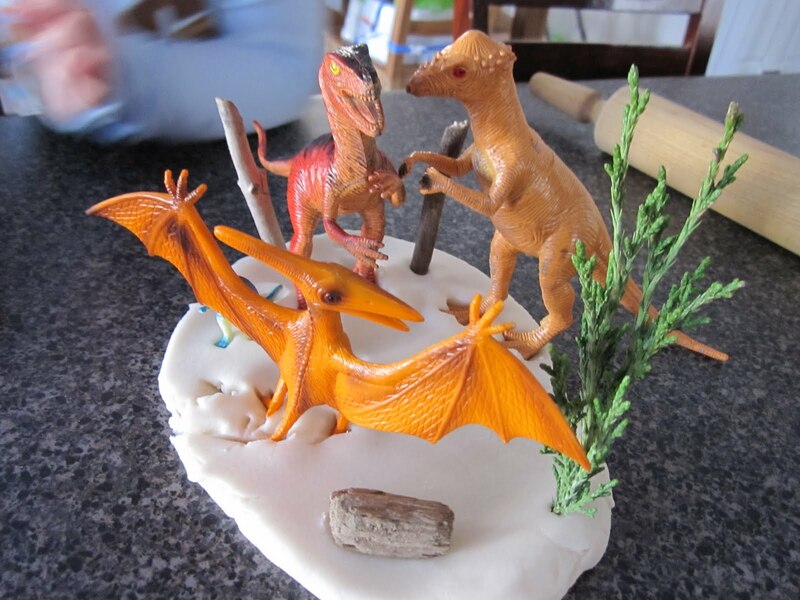 We talked about where and when Dinosaurs lived and what they ate, the kids were not to happy when I talked about the carnivores so for this year I decided it wouldn't hurt if all the Dinosaurs were herbivores. We learned about how big Dinosaurs were by cutting out a giant Dinosaur foot and painting it with our own feet by stomping in the paint like Dinosaurs! 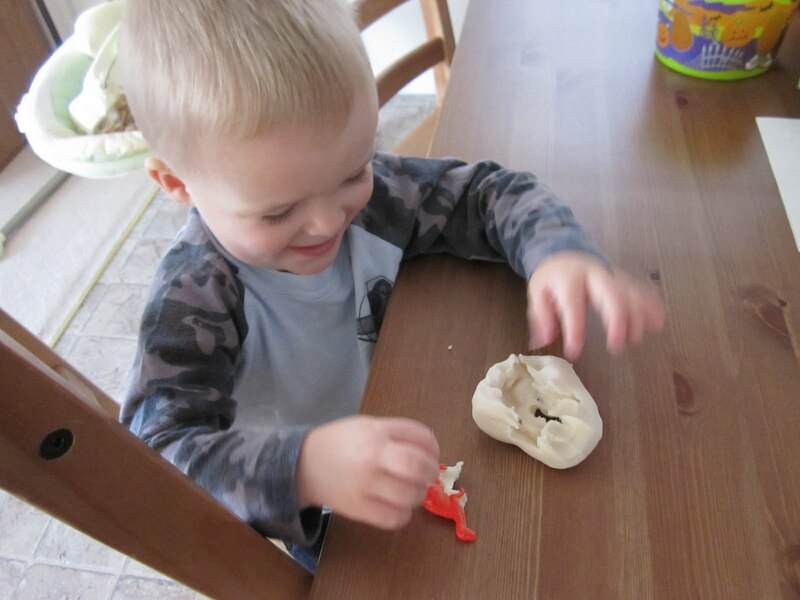 We talked about Dinosaurs skin and used egg shells to make our own dino's with bumpy skin! I feel like we could have done weeks and weeks of dino fun I can't wait to do it again next year or maybe sooner! What is your favourite theme!